Gotham Ottawa, is a 17 storey, 251 unit building, located at Lyon St. and Gloucester St. It is a project of Lamb Development and Fortress Real Developments that is set for completion later this year. "Loft 13" which is still available for $233,900. Currently 87-90% sold, there is more supply of the Jr. one bedroom and one bedroom range. While if you are looking for something larger, only a few two bedroom plus dens still available. All two bedrooms, three bedrooms, and "Glass House" units are sold out. Keep in mind prices for the smaller units have recently been increased and the larger units have had prices lower slightly. These price changes range from $10,000 to $12,000 depending on the unit and size. Prices range from $233,900 for the 426sqft one bed "loft 13", up to $619,900 for the 1,300sqft two bed plus den "Loft 316". 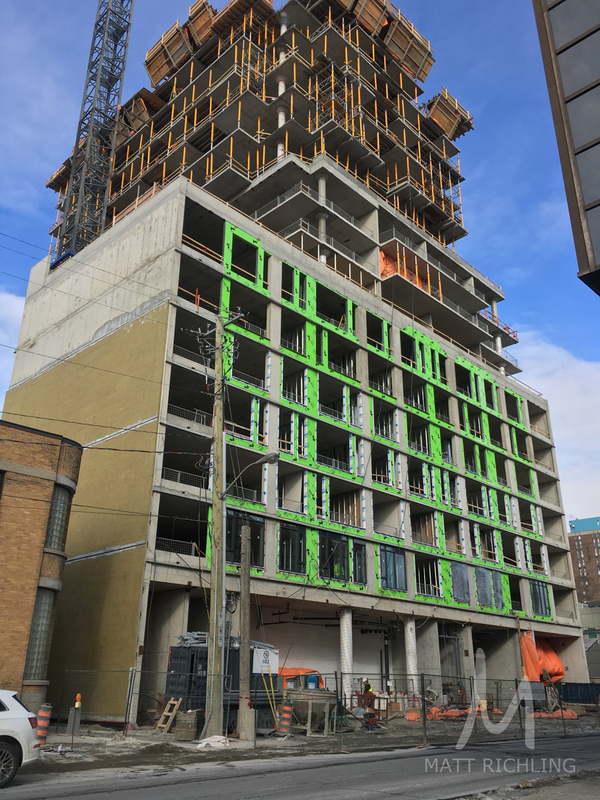 The building has been topped off, and most of the exterior glass windows and doors have now been installed. Interior work on the lower floors is underway with PDI's (pre-delivery inspections) being scheduled in October and occupancy beginning in November. 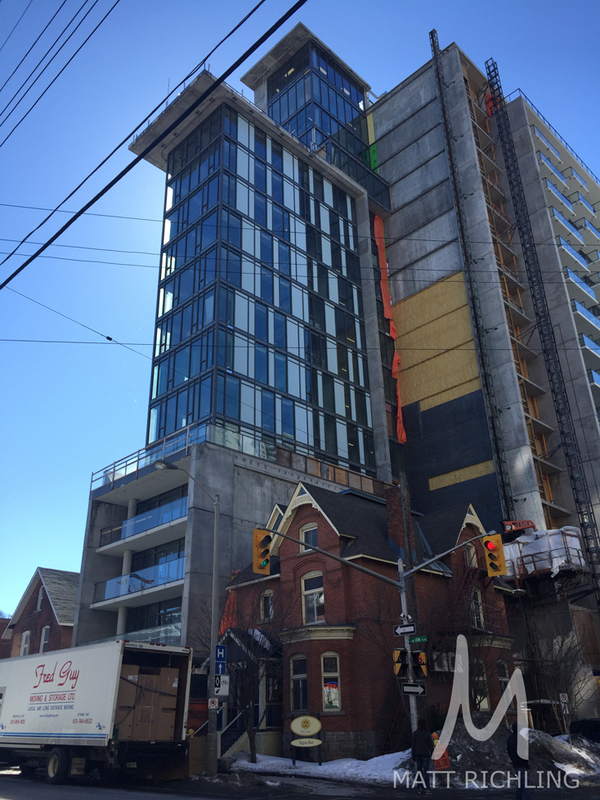 Photo from "urbform" on flickr, showing building construction topped off, and glass windows mostly finished. Are you looking for more information on Gotham Ottawa? Or looking to purchase a new condo unit? I would love to help! More Spring Deals! 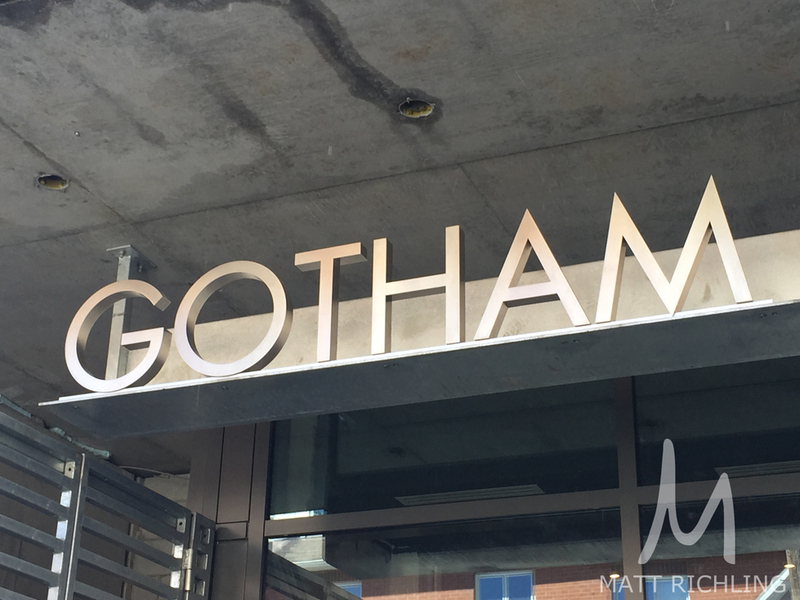 Purchase at Gotham and Receive Gift! One day only - Gotham condos located at 224 Lyon St in Ottawa is offering increased commission on Jan 11th. Purchase through Matt Richling and receive a gift back on closing for amount approximate to 1% of purchase price. Gotham has already seen huge sales with over 60% sold in 60 days! For more details contact Matt Richling at 613-286-9501 or Matt@MattRichling.com.